Robot calibration is the process of identifying the real geometrical parameters in the kinematic structure of an industrial robot, such as the relative position of joint links in the robot. 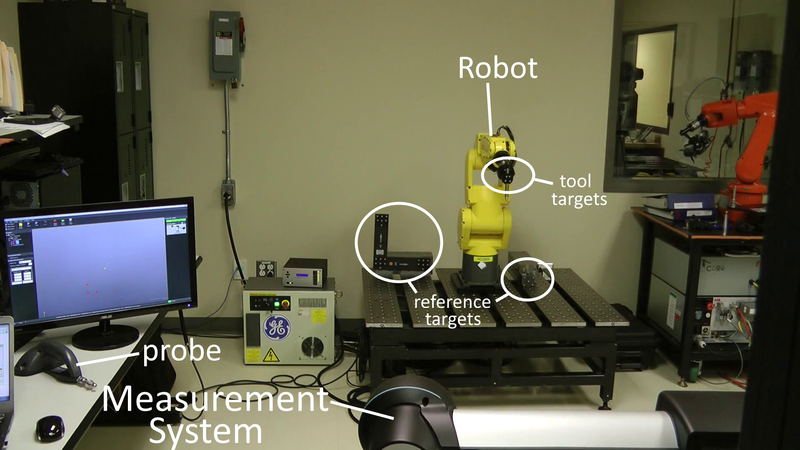 Robot calibration improves accuracy of robots programmed offline (Offline Programming). Robot calibration can be accomplished with RoboDK in less than 20 minutes. Easily generate robot programs offline once with RoboDK's offline programming tools. Once the robot is calibrated it is also very easy to compare the accuracy before and after calibration with a ballbar test or an ISO 9283 test (Robot Performance Analysis). You can also run customized path accuracy, speed and acceleration tests and obtain a detailed report. Are you a robot manufacturer? 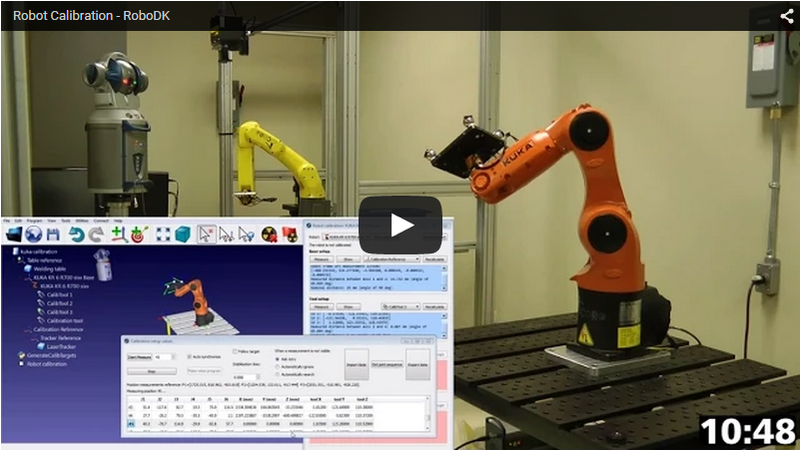 We can easily integrate robot calibration for your robots. The following videos show the robot calibration procedure with RoboDK using a C-Track stereocamera from Creaform and a Faro laser tracker. A KUKA KR 6 R700 robot and a Fanuc LR Mate 200iC are calibrated respectively with these measurement systems, improving the accuracy by a factor of 8. These tests were performed at CoRo laboratory. Read more about the benefits of robot machining with a calibrated robot in this article.